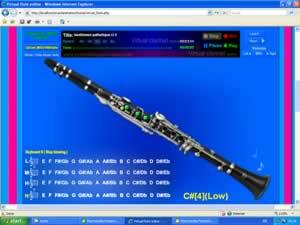 This is clarinet online program. The clarinet is a musical instrument of woodwind type. The name derives from adding the suffix -et (meaning little) to the Italian word clarino (meaning a type of trumpet), as the first clarinets had a strident tone similar to that of a trumpet. The instrument has an approximately cylindrical bore, and uses a single reed. In jazz contexts.